Car loan is borrowing a certain amount of money from a bank or dealer to purchase a new vehicle. The borrowed money is paid on a monthly basis and with an interest. The interest rate is an additional cost on top of the loan principal. It is a common misconception for new car buyers to assume they automatically own the car. But that’s not the case. The lender is buying the car for you in the agreement that you will fulfill your responsibilities which is to pay back the agreed loan. To sum it all up, the bank or the dealer owns your vehicle but you can still feel that the car is yours as you are responsible for the maintenance, taxes, gas, and other vehicle expenses. Once you finish paying for the car loan, the bank will provide you with legal documents such as Release of Chattel Mortgage and Original LTO Certificate of Registration with Official Receipt for transfer of ownership. In case you fail to meet the agreed monthly payment, the lender can repossess your car. 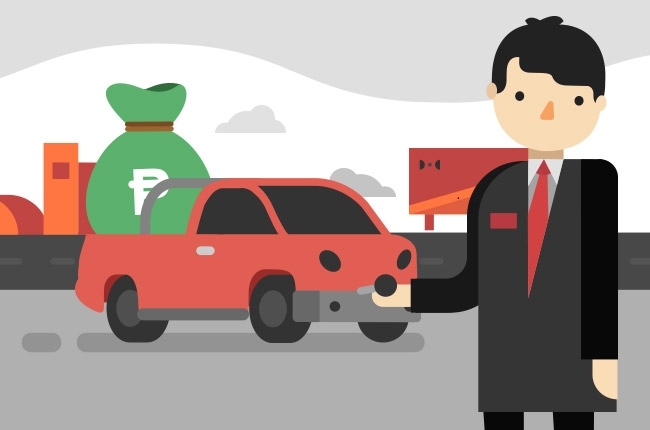 There are 3 common car loan terms that you can avail of – 36 months, 48 months, and 60 months. Let’s say you are getting a car with a P1,000,000 price tag. Your downpayment is 20% (P200,000), the remaining balance which is P800,000 will be financed through your preferred lender. If you choose 60 months or 5 years of loan term, you will need to pay an estimated monthly amortization of P16,971 until the amount financed is paid back. The mentioned monthly payment includes the interest rate but excludes tax and insurance. Just because you can afford to shell out the 20% downpayment, it doesn’t mean that any lender will openly lend you money. Banks, dealers, and private lending companies enforce strict loan approval which includes checking your credit standing. Lenders will request for your bank and credit card statement, Certificate of Employment, Latest Income Tax Return (ITR), and other legal documents that can verify your financial capabilities. They can also ask you if you have a credit card or an existing car loan. These factors can affect your chances of getting a car loan approval. In case that you have insufficient income, the lending company can ask you to have one family relative as a co-borrower. The co-maker is the surety, an insurer of the debt, and not a guarantor which means that when the principal borrower is unable to comply, the co-maker is responsible for meeting the payment.